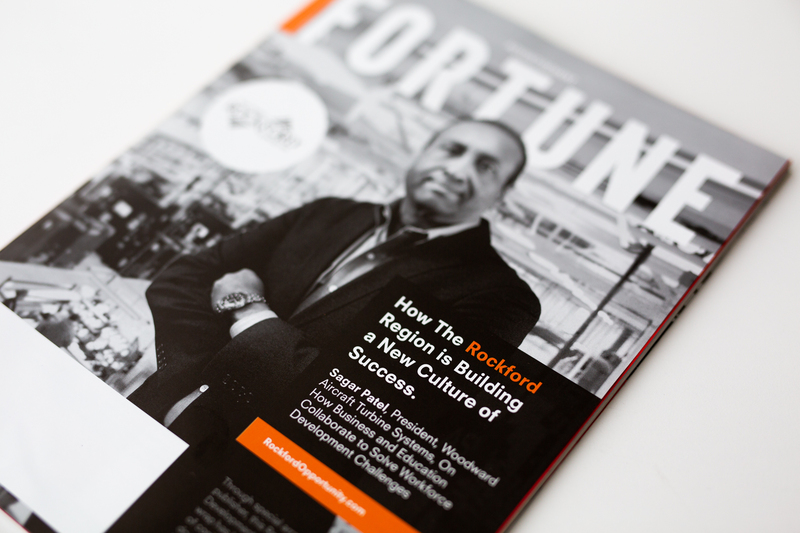 Hello, Again: Promoting The Rockford Region’s Exciting New Culture of Success. 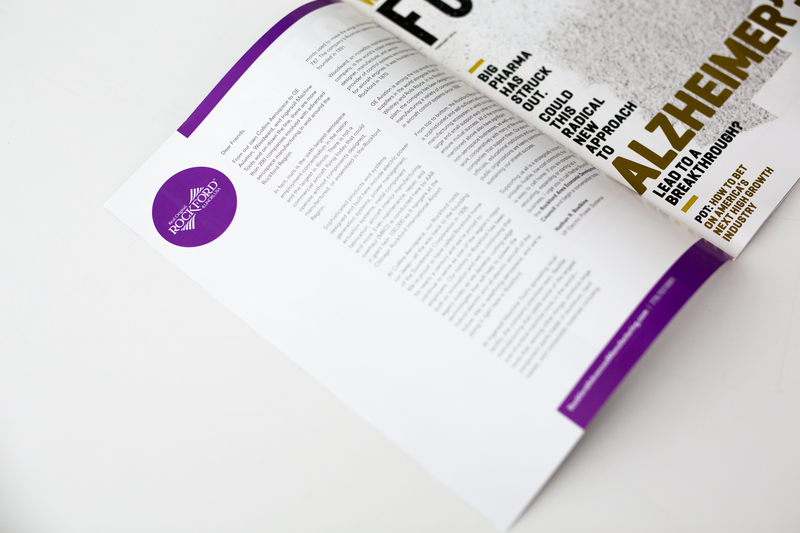 Defining optimal positioning, messaging and media planning strategies isn’t just important in private business; it’s equally important in tourism and economic development branding and advertising. 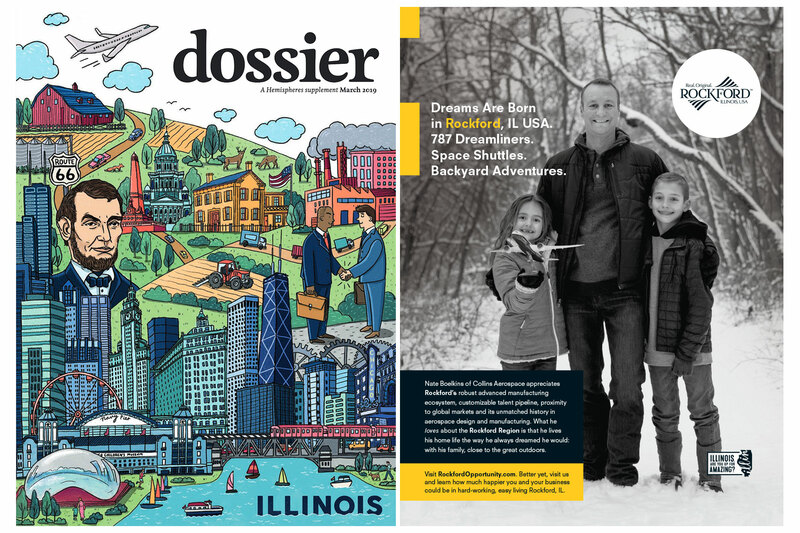 In 2018, the Rockford Area Economic Development Council engaged GrahamSpencer to create and conduct a test economic development advertising campaign targeting the Chicago market. In a unique approach, we also conducted our proprietary GSearch research and strategic planning process during the campaign lifecycle. The process was deep, but the goal was simple: help RAEDC re-position the community, create better messaging strategies, identify target markets and effectively set the Rockford Region on a smart, sustainable long-term path toward attracting business investment. 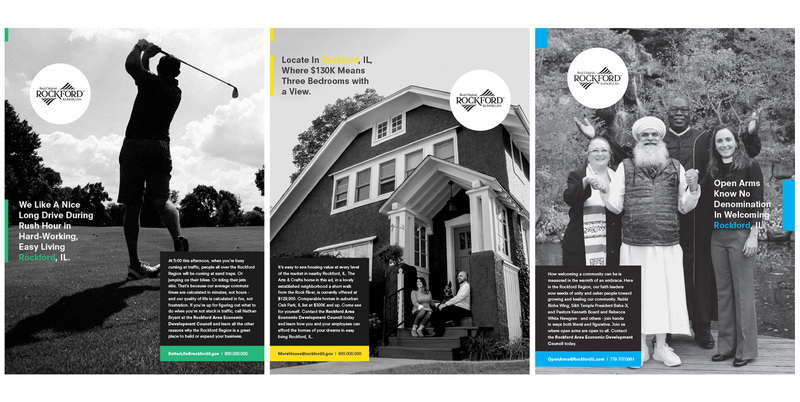 The test advertising campaign, which ran solely in the Chicago metro area, was designed to tell Rockford’s story, raise the community’s profile and begin to tease out business expansion and real estate development interest. 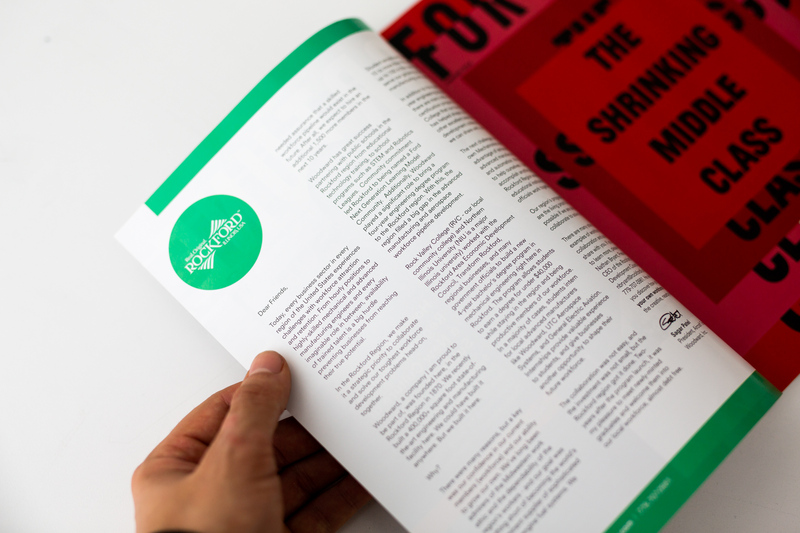 It consisted of digital advertising, social media, out-of-home billboards and an innovative direct marketing technique executed with Fortune magazine. Digitally, we targeted a list of the websites of relevant business and local news verticals including Crain’s Chicago Business. Supported by social media channels Facebook and Instagram, our team produced high-quality videos for pre-roll ads with static banners as an integrated media campaign targeted at business and financial sectors, sub-sectors of manufacturing and logistics and more. Digital billboard ads rotated on the west-bound lane of I-90 near ORD to target Chicagoans as they drove on the most direct path into Rockford. 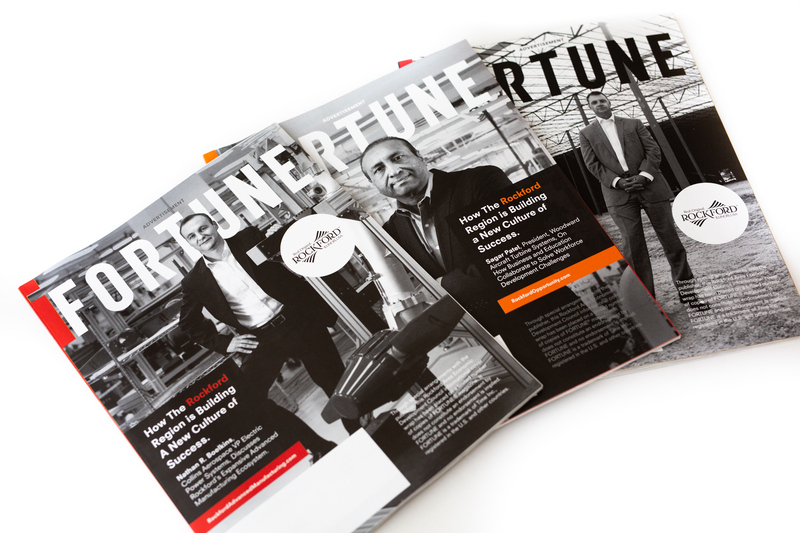 With Fortune magazine, we custom-curated a list of 1,000 C-Suite executives in the Chicago metro area and sent them free Fortune magazines wrapped in messages from the Rockford Region business leaders touting, in their words, regional advantages such as speed-to-market building construction, customizing workforce pipelines, the strength of Rockford’s aerospace and advanced manufacturing ecosystems, welcoming diversity and more. Despite the fact this was the first significant external economic development marketing the Rockford Region had done in more than 20 years, the digital results were outstanding. The campaign generated more than 70% lift in Chicago visitors year-over on the RAEDC’s website. It drove CTR that exceeded national industry benchmarks. And, ongoing campaign optimization led to steady increases in performance from start to finish.